For those of us mourning the end of the visionary Pinter at The Pinter season, there is some consolation in the fact that for Pinter Seven, director Jamie Lloyd has selected two of Pinter’s most delicious comedies. 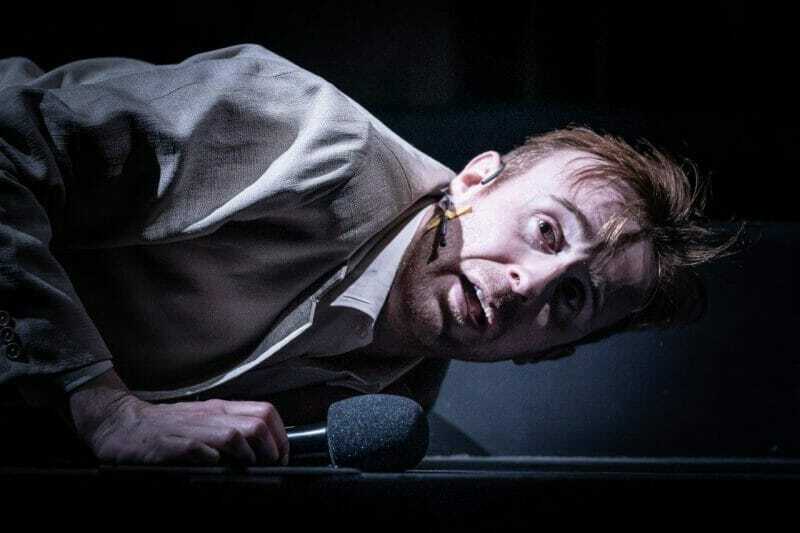 Both A Slight Ache and The Dumb Waiter give us plenty of opportunity to marvel at the comedy prowess of Pinter, and the ingenious staging which has been such a contributing factor to this season. A Slight Ache was originally conceived as a radio play, and we are reminded of this in the title projections which have kept us so well informed over the whole season. Although it has been staged before, Jamie Lloyd has taken the decision to stage it here as a radio play. 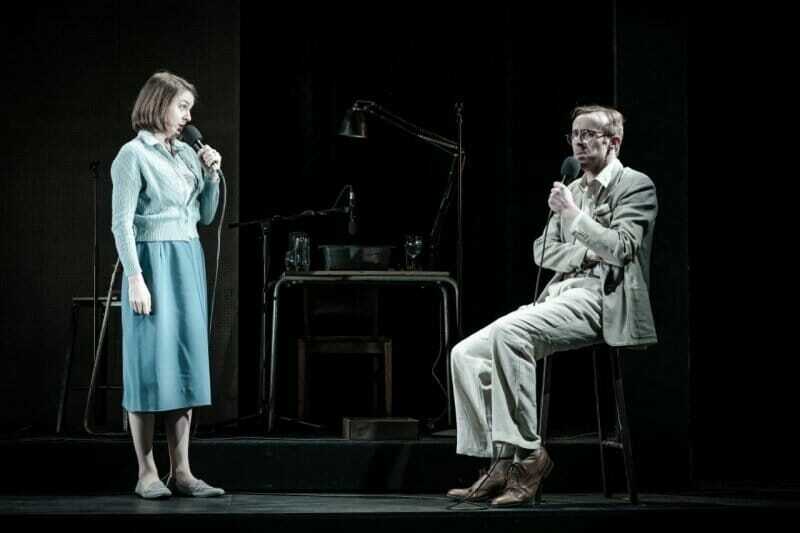 With Gemma Whelan and John Heffernan perched on stools in front of microphones, the dialogue begins when the red ‘On Air’ sign illuminates. In the most traditional of upper-class accents, Flora and Edward calmly discuss the wasp which has become trapped in the marmalade, before considering the garden chores to be completed. But a match seller, unseen by the audience, at the bottom of the garden, draws them in to a battle with their own perspectives and exposes their internal fears. 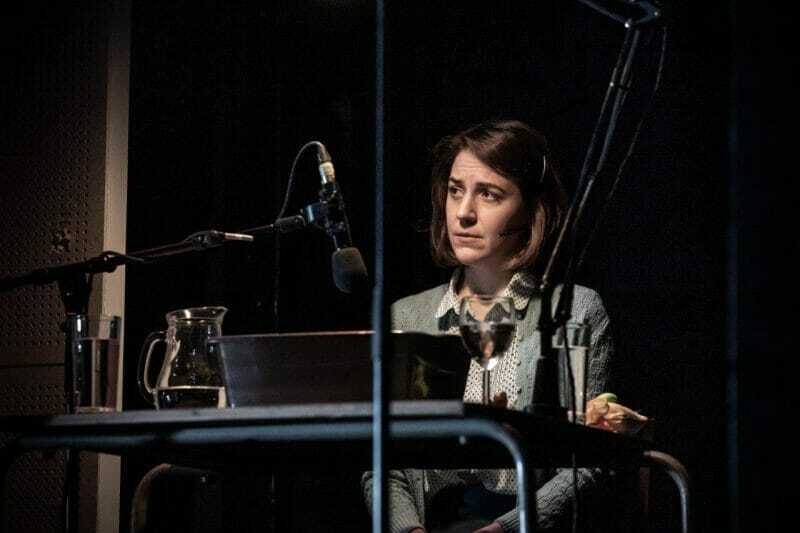 Keeping it in the radio play format allows us to examine Pinter’s language more closely, occasionally the actors make their own sound effects, but not always and that’s despite a Foley table clearly visible on the stage. Both Whelan and Heffernan give accomplished performances of a couple coming so clearly undone. 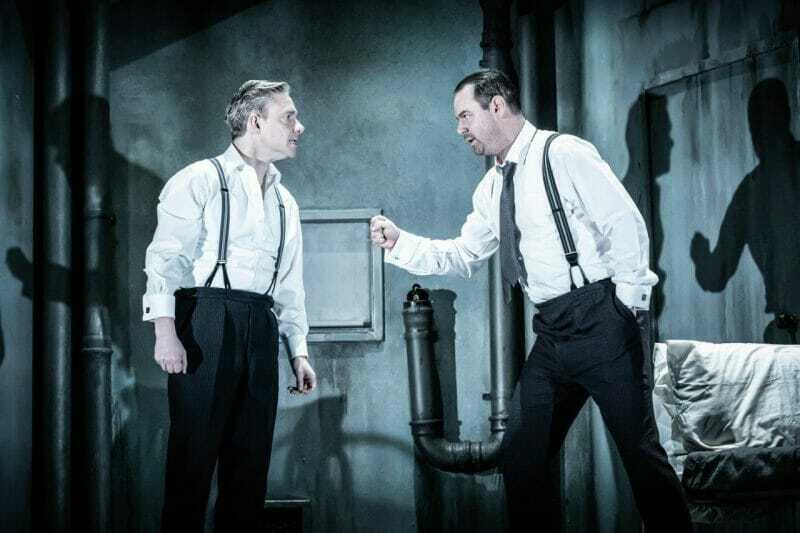 With the set completely inverted The Dumb Waiter sees two hit men in the basement of a former restaurant awaiting instructions of how to tackle their next victim. A rattling and crashing dumb waiter continues to send them food orders, with no kitchen in sight, it creates confusion and tension. It’s a formidable pairing, with Martin Freeman and Danny Dyer taking the lead in this final offering. 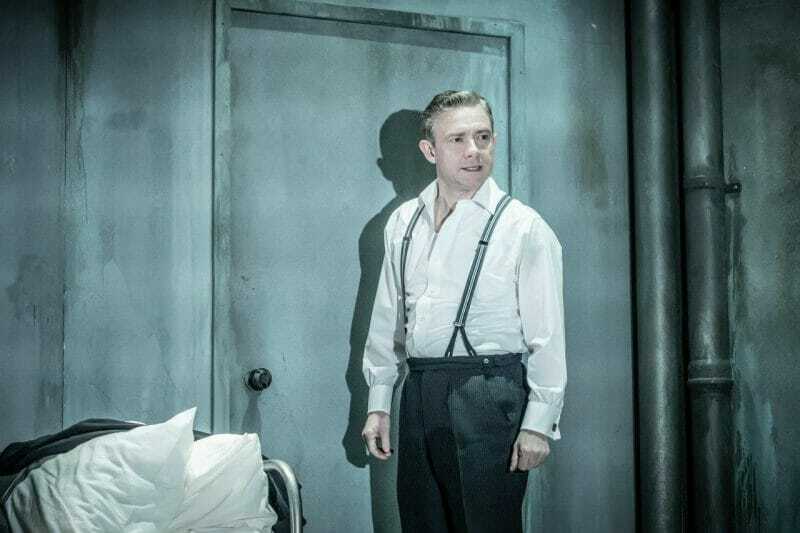 Martin Freeman plays Gus, the subordinate to Danny Dyer’s Ben. As the ridiculousness of their situation rises, so does the psychological torment keeping the audience gripped by both the story, and the captivating performances. Like so many Harold Pinter works, the pieces feel unfinished, allowing the audience to draw their own conclusions, flesh out the characters or make assumptions for themselves. 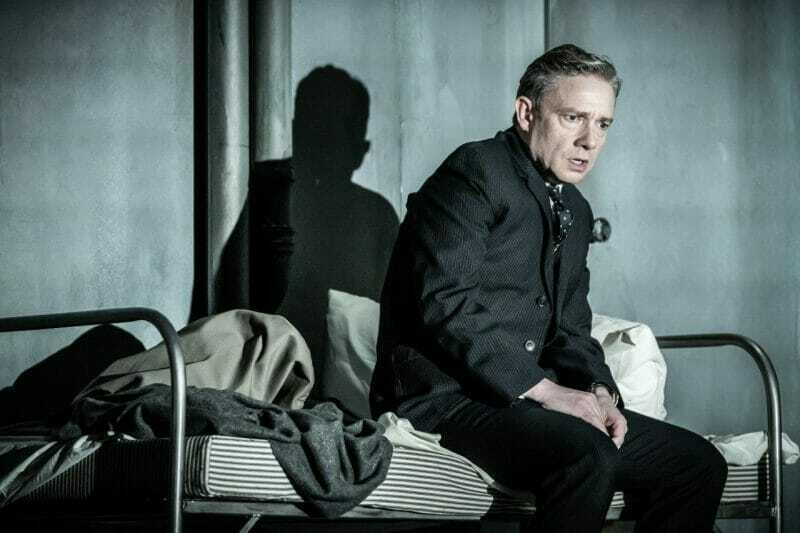 Both A Slight Ache and The Dumb Waiter are prime examples of this, and while Pinter Seven marks the end of this season, aside from the upcoming production of Betrayal, as an audience we have been treated to a wonderful celebration of Pinter and his work. There will be many interpretations of this season, but the key point is that Pinter at the Pinter gave us all a wonderful opportunity to experience these short plays like never before.